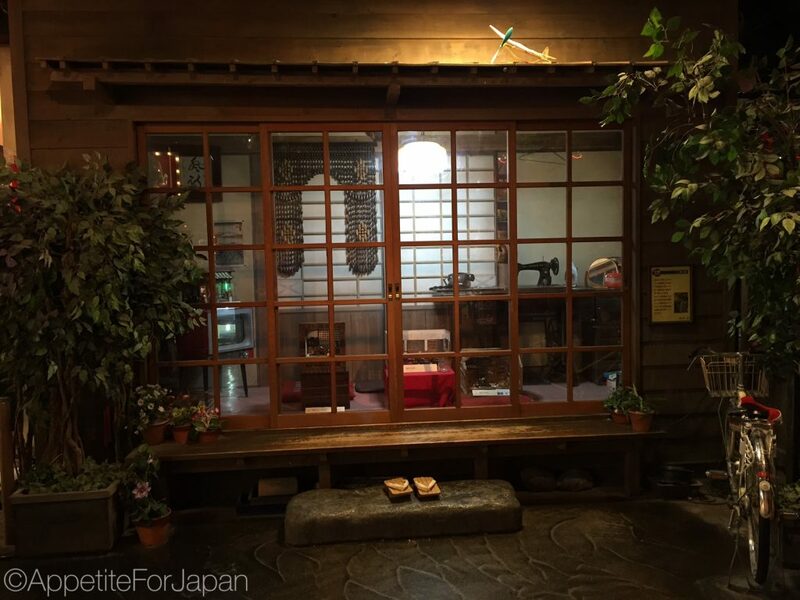 Daiba 1-chome Shōtengai is set in the ‘Showa’ period, which was roughly from the mid-1920s to the late 1980s. 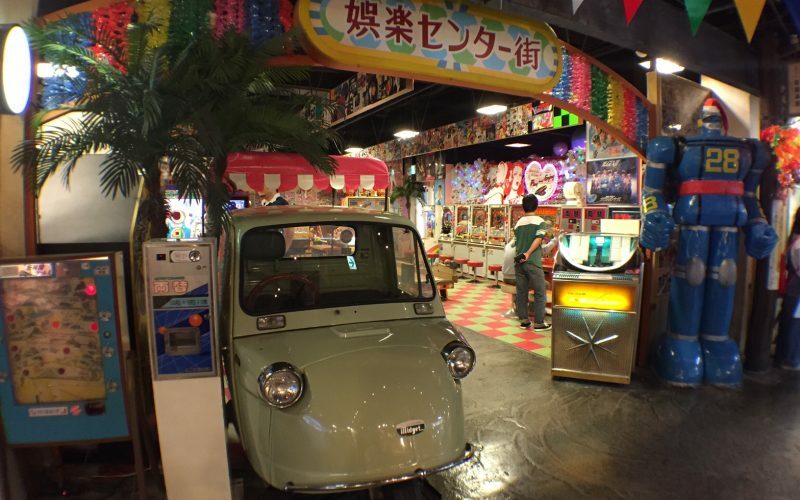 That’s a pretty broad time-frame, and I would say that the Daiba Itchome Shotengai has a mostly 1950s to 1960s theme (although once you reach the arcade games, you’ll find some with computer screens which are presumably from the 80s). Above: Even the lifts (elevators, for my American readers) have been decorated to look like a train station. 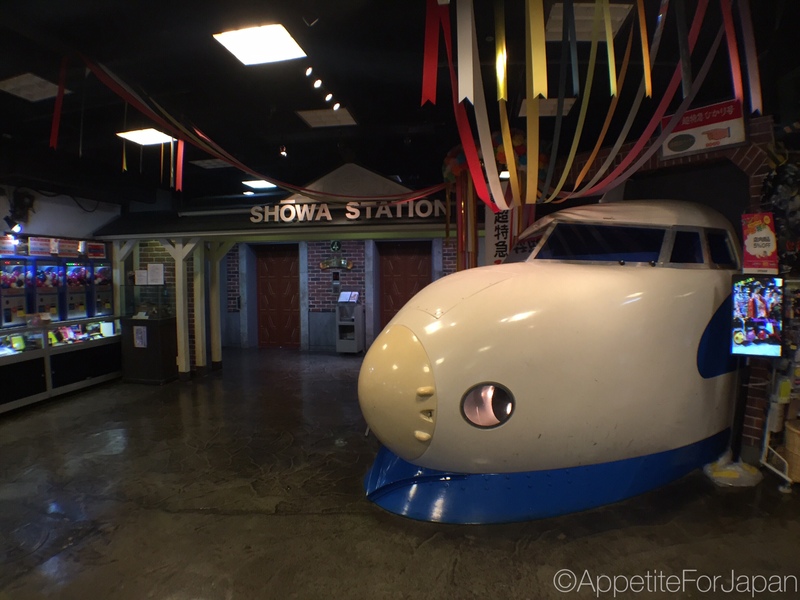 Showa Station, because when you arrive at this stop, you’ve arrived at the Showa period. Above: There’s a little display home from somewhere right in the middle of the Showa period. The name 台場一丁, Daiba Itchome or 1-Chome Shōtengai (also spelt Shotengai or Shoutengai) can be translated as 1 Shopping District, Odaiba. I’ve also seen it translated as 1 Shopping Street. That could be #1 Shopping District, or street number 1 – it doesn’t really matter because it’s not real anyway, but by understanding the name of the mini theme park, you can understand more about the whole concept. I think the idea is that it’s meant to be a street from the 1950s or 60s with houses (well, there’s the little house above, and a haunted house), a train station, lolly shops and game arcades. And who doesn’t want to feel a sense of faux nostalgia for a street like this?! 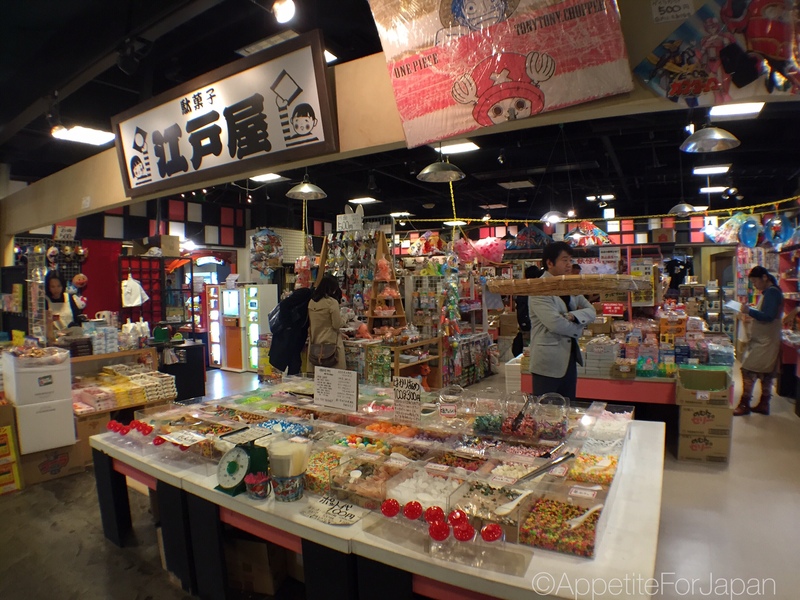 The lolly shops and game arcades at Daiba Itchome Shōtengai are really cool. 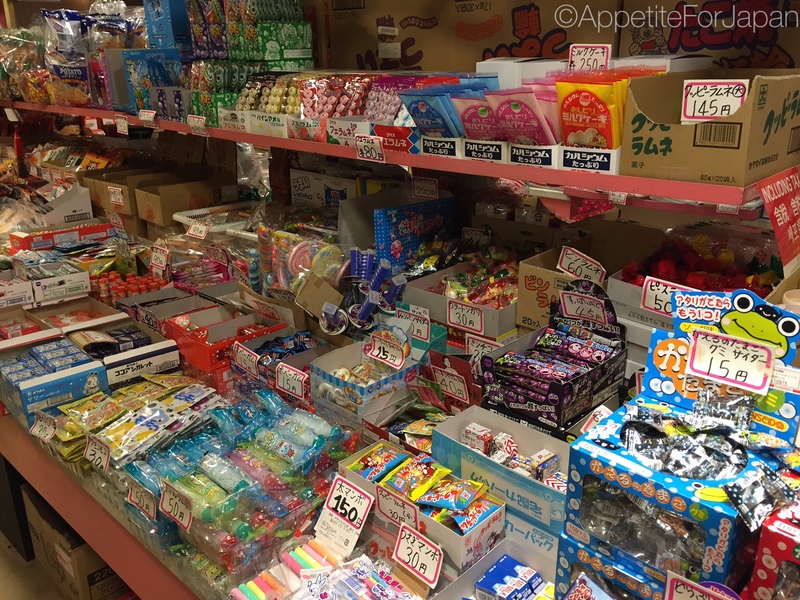 There are a few shops almost overflowing with lollies, some modern, some retro, and the prices are really reasonable. 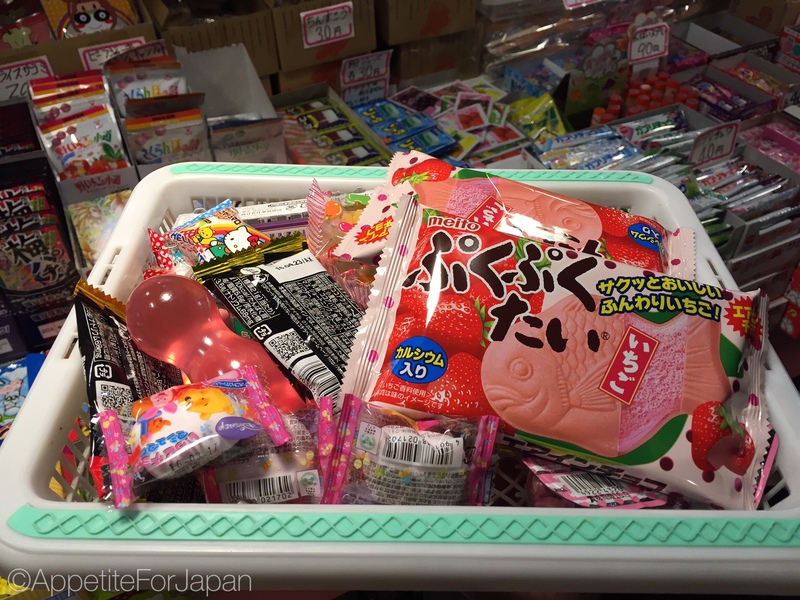 Above: I thoroughly enjoyed picking and choosing random lollies and snacks without even knowing what I was buying. 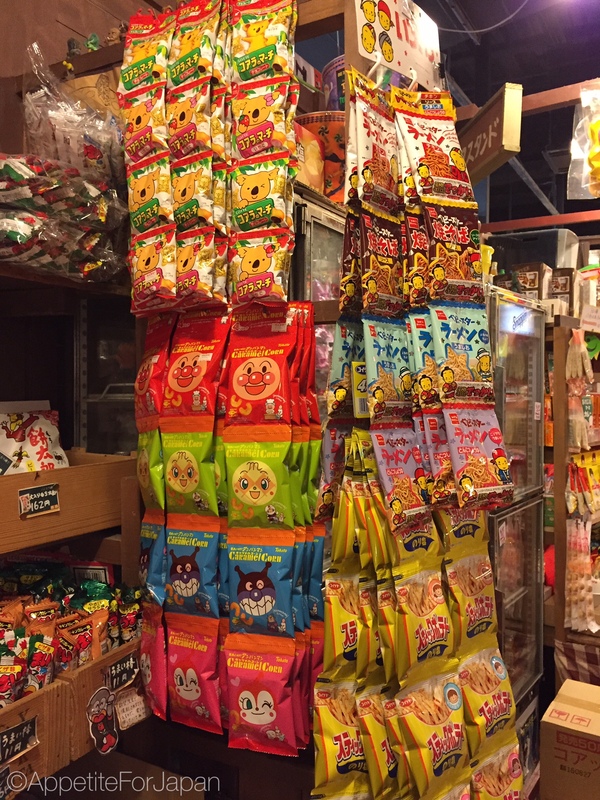 There’s always an element of surprise when you go to eat whatever it is that you’ve purchased, and it’s all cheap enough that you may as well try a few new snacks. 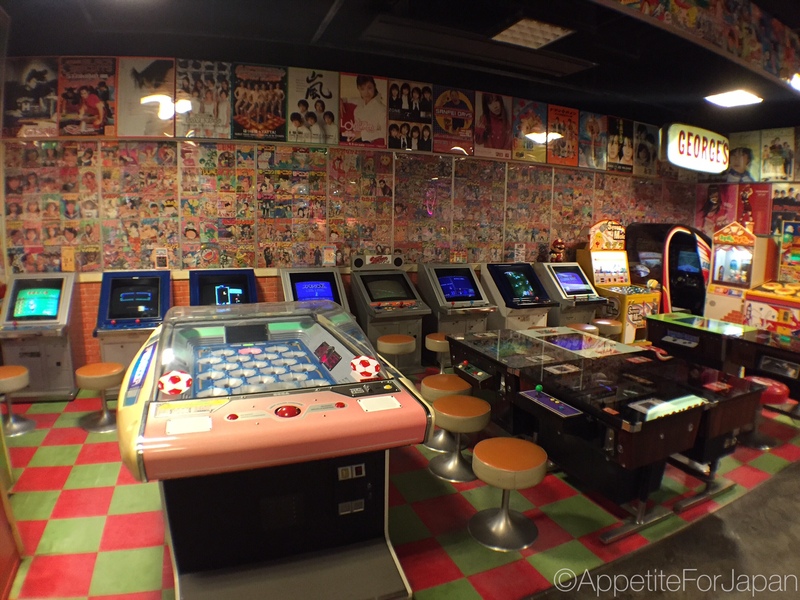 The arcades at 1-Chome Play Land are great. 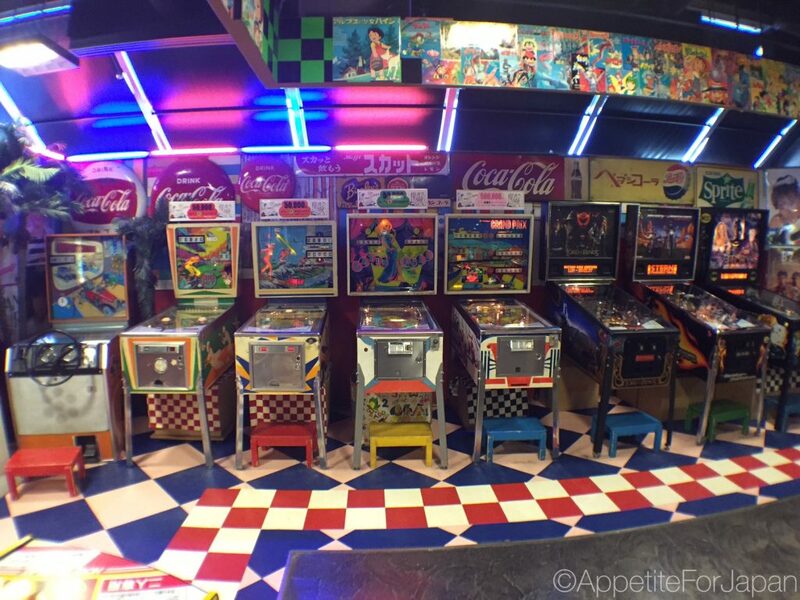 There are rows and rows of old racing games, fighting games, pinball machines and more. 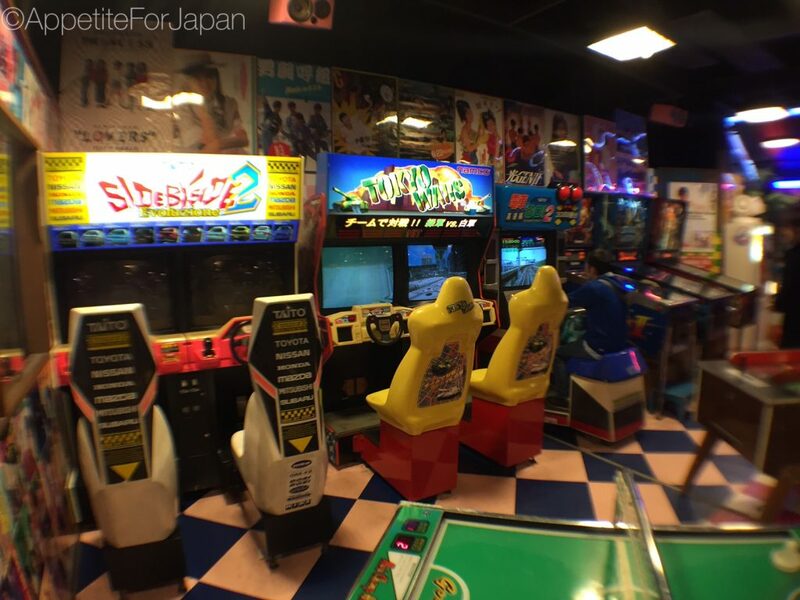 I have never seen so many retro games in one place in my entire life. Whether you’re into arcade games or not, 1-Chome Play Land is very impressive and definitely worth a visit. 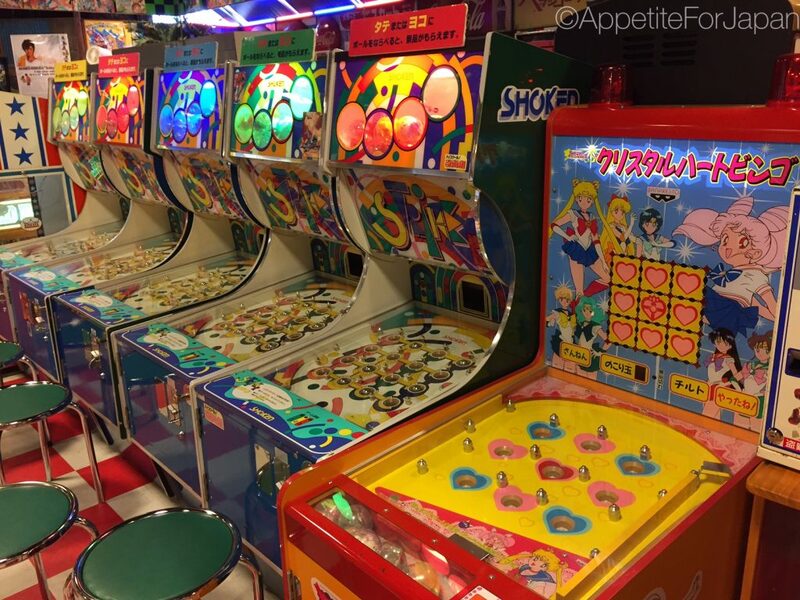 Above: A Sailor Moon pinball machine (it’s actually from the mid 90s, but that was 20 years ago so it’ll do). 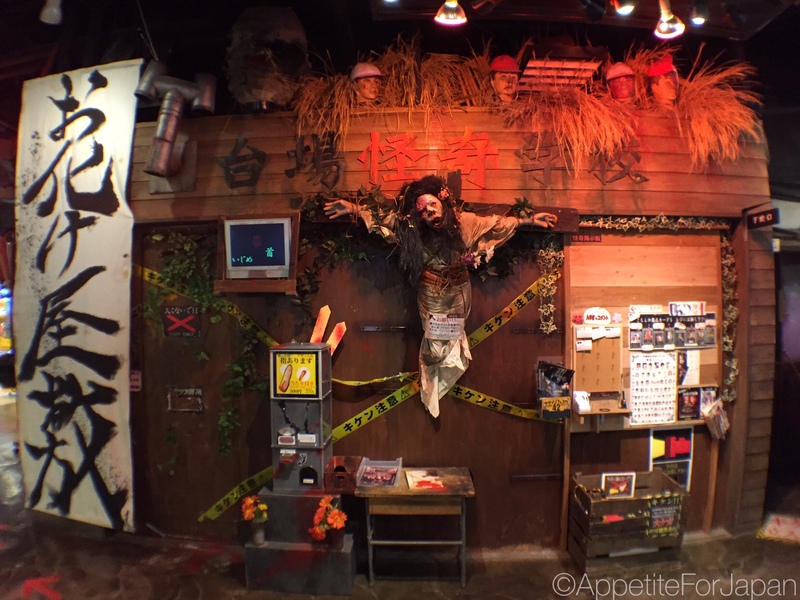 There’s even a haunted house (called Daiba Kaiki Gakko, pictured above) because, well, why wouldn’t you have a haunted house in a retro Showa period street alongside the lolly shops and arcades? In fact, rather than asking why, I’m going to go ahead and ask why not: Why don’t all shopping centres have haunted house attractions? And on that note, why don’t all shopping centers have a shooting gallery? Well, Decks Tokyo Beach Odaiba does! 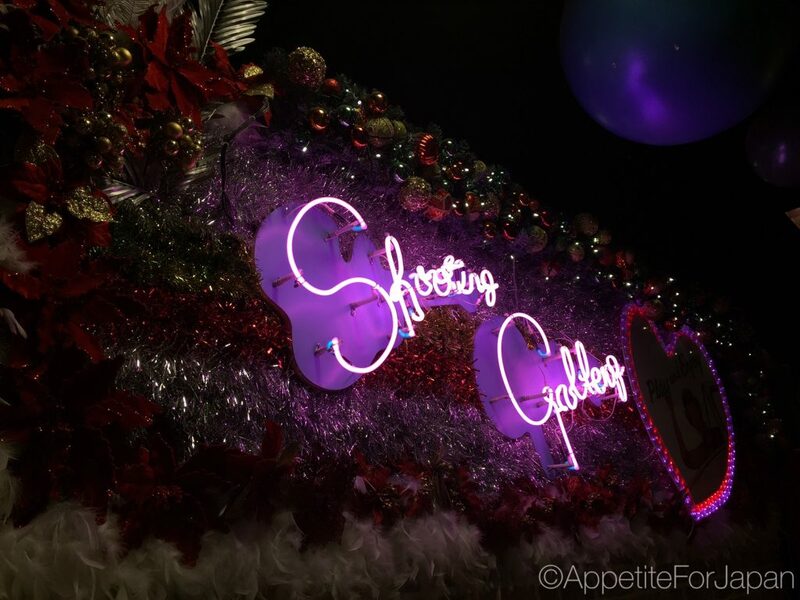 The shooting gallery is restricted to those over the age of 18. 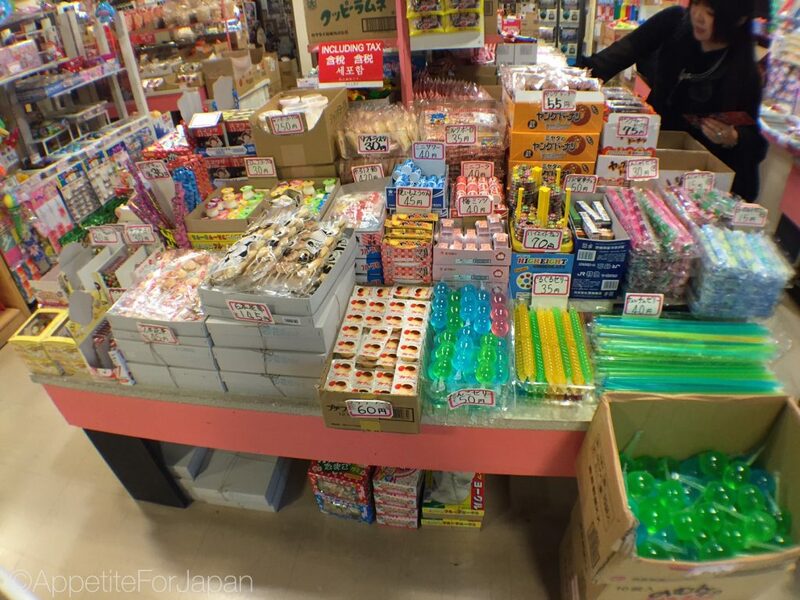 Like the shooting gallery at Hanayashiki, the guns use little cork bullets, and you shoot at the moving objects (little retro toys and lollies) on the shelf behind the counter. 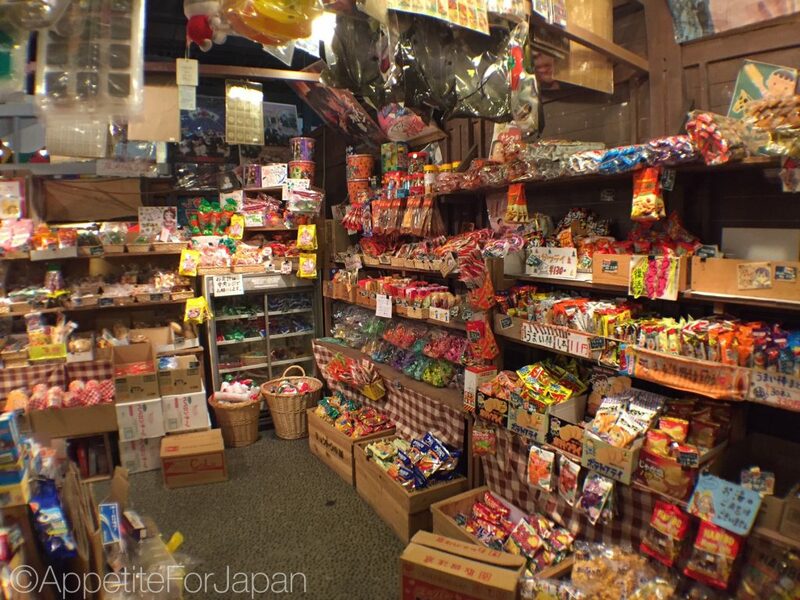 Would I recommend Daiba 1-Chome Shoutengai (or Itchome Shotengai – however you prefer to write it)? Short answer: yes! Both my partner and I really enjoyed our visit to Daiba 1-Chome Shoutengai and we’re looking forward to our next visit. 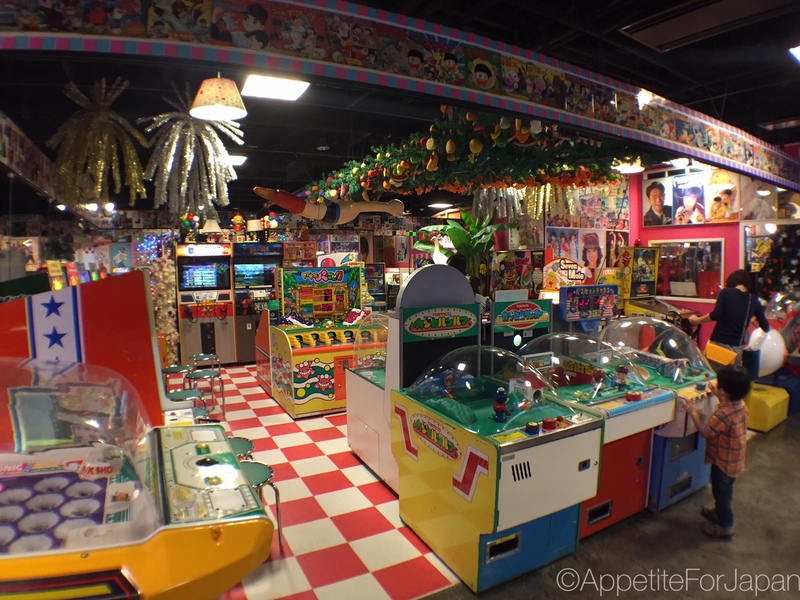 The retro lollies and game arcades were the highlights for us. 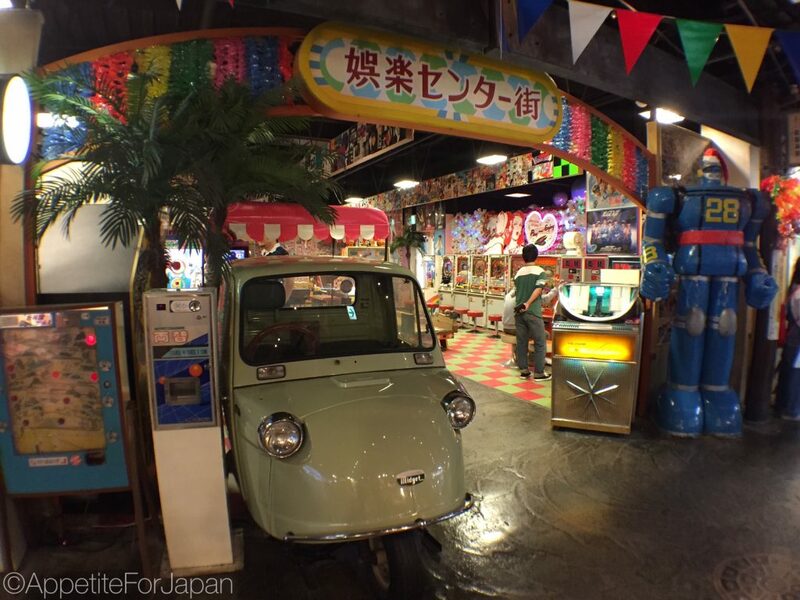 I’ve heard a lot of people say that they get a strange sense of nostalgia from the retro-kitsch theme park – even though most people who say this aren’t from Japan and weren’t even alive for most of the Showa period. And one of the great things is that although they call it a theme park (it’s not really – a lot of commercial attractions are called theme parks and museums in Japan when really, they’re just groups of shops and food courts), there is no admission fee to get in – it’s free until you decide to spend money on sweets, snacks and games, and even then, it’s very reasonable. Daiba 1-Chome Shoutengai is located on Level 4 on the ‘Seaside Mall’ side of the shopping centre – note that the shopping centre is split in two parts, the other side being ‘Island Mall’. 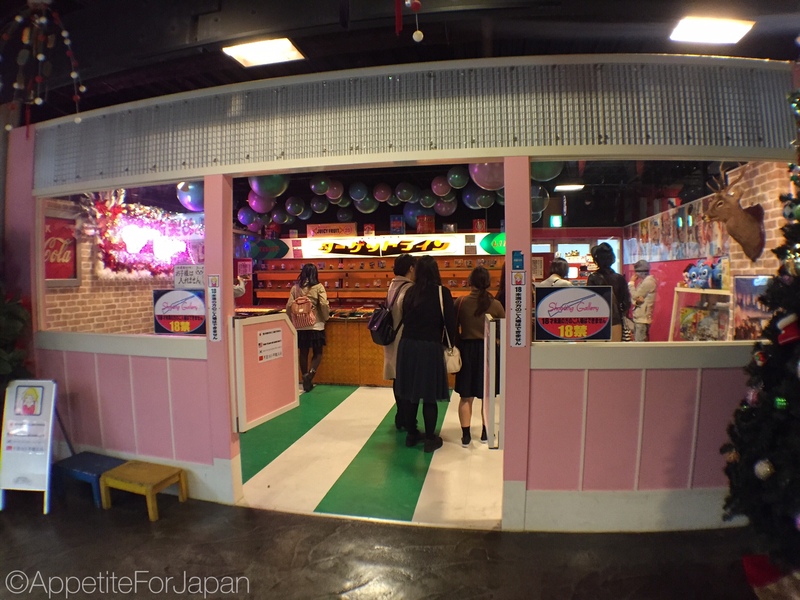 Odaiba is a small, man-made island, so you don’t really need to know the specific address but rather that Daiba 1-Chome Shoutengai is in the Decks Tokyo Beach Odaiba shopping centre. Daiba 1-Chome Shotengai is on the 4th floor of the Decks Tokyo Beach shopping mall in Odaiba – a small, man-made island in Tokyo Bay. 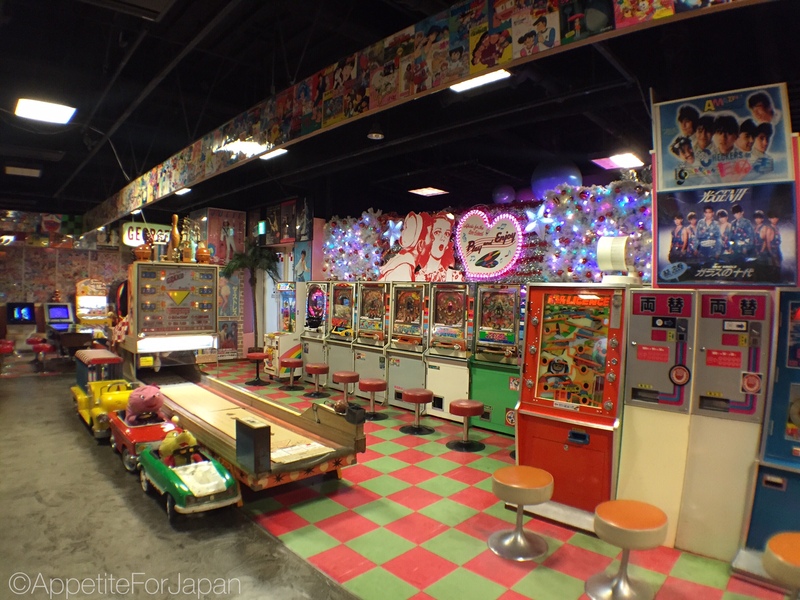 There are several ways to get to Odaiba, which are listed on the Decks Tokyo Beach website. My partner and I usually catch the train (although there was that one time we stayed in the exclusive Gundam hotel suite which meant we could walk straight there). Since we tend to stay in Shibuya, we catch the JR Yamonote line to Osaki station (just a few stops away) and then we change to the Rinkai line. 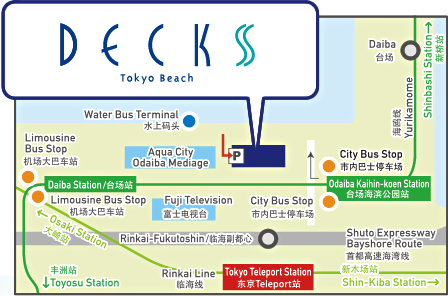 The closest station to Decks Tokyo Beach is Tokyo Teleport station. 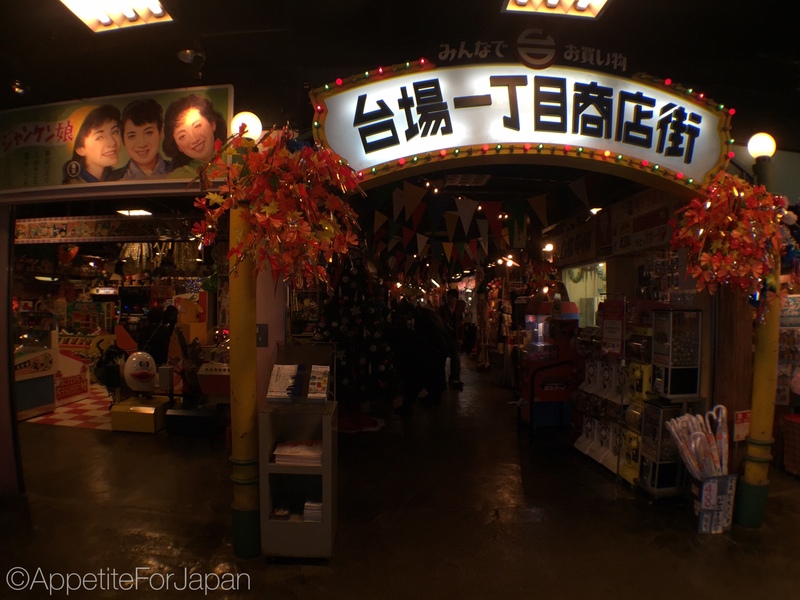 Next up we’ll explore the Takoyaki Museum, which is right next to Daiba 1-Chome Shotengai.